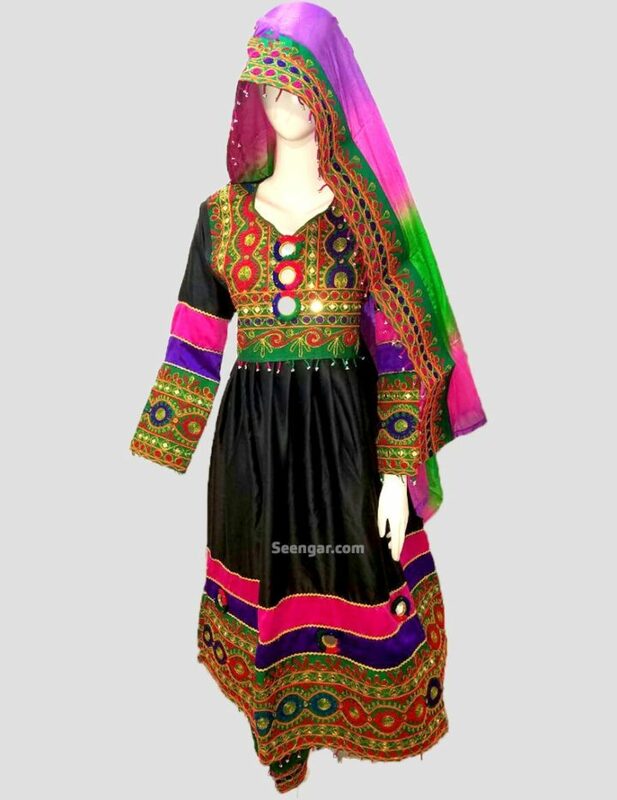 This stunning Afghan dress showcases deep yet vibrant colors, that are used to tie in the theme together. 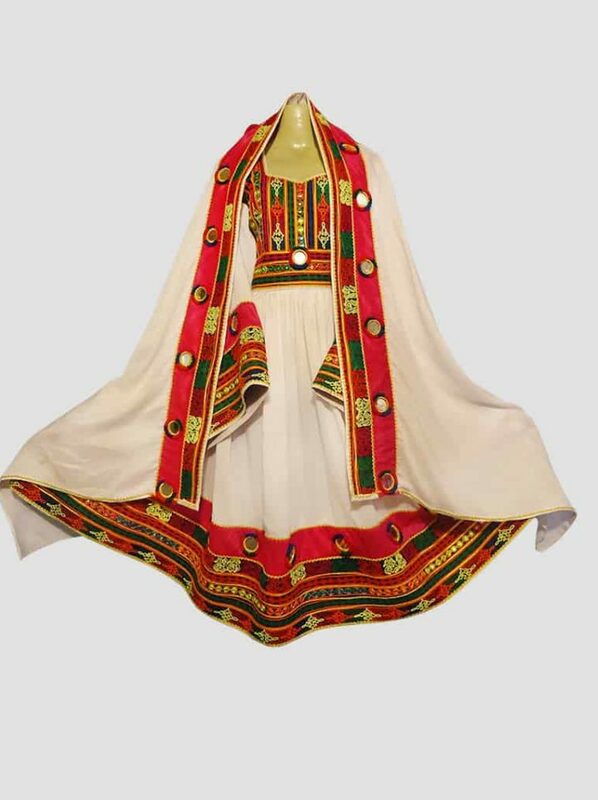 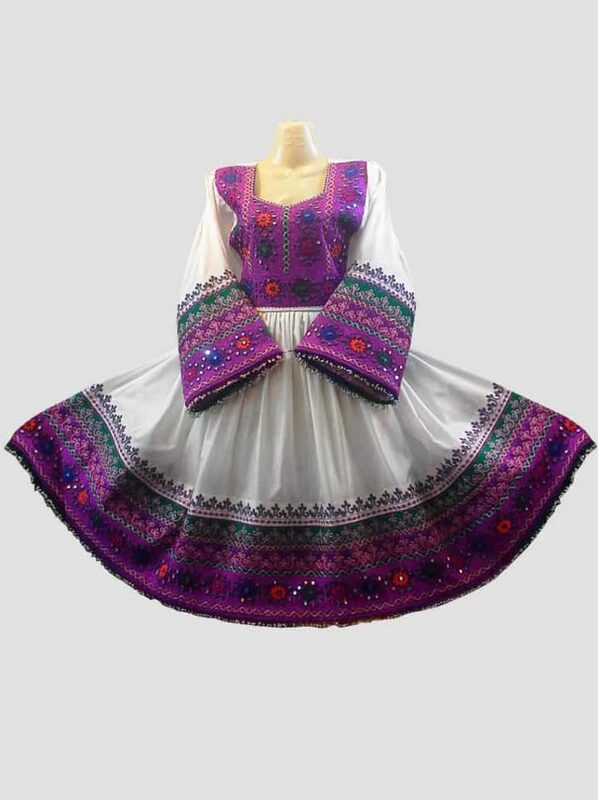 As this full sleeved dress offers detailed mirror and thread work, that brings justice to the Afghan culture. 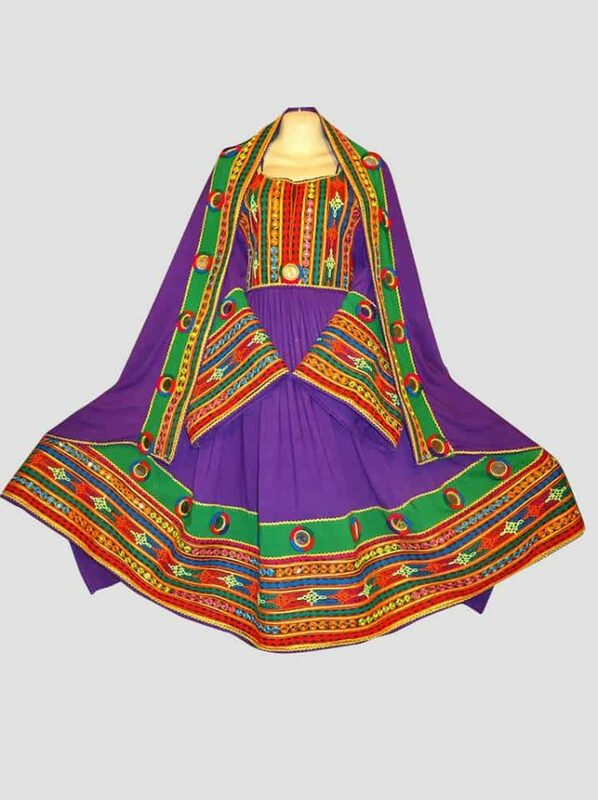 The top, bottom, and sleeve of this dress offer a multi-colored touch, that is also seen on the dabatta. 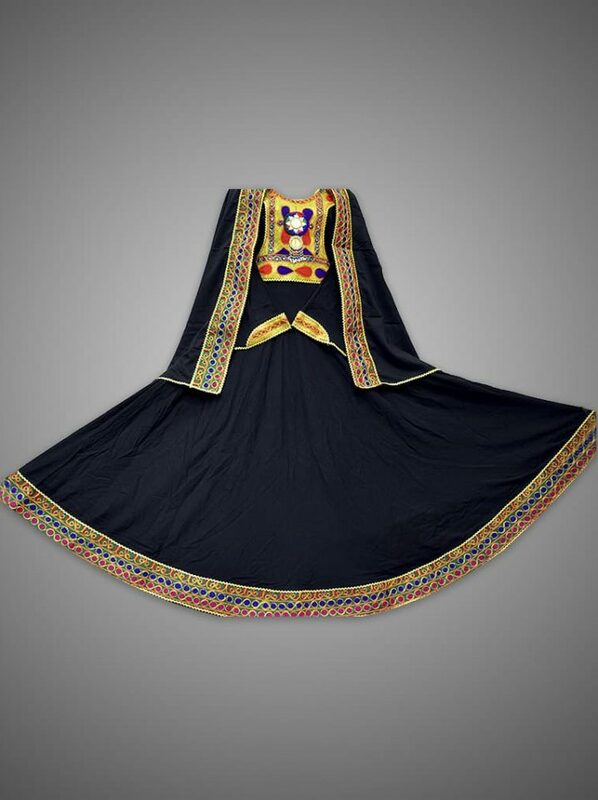 Allowing you a chance to enjoy a stunning black onyx Afghan dress, that will win everyone over.